Gammon, Malindi (1), Davy, Simon (1), Tracey, Di (2)*, Cummings, Vonda (2), Marriott, Peter (2). 1 Victoria University of Wellington (VUW), Wellington 6012, New Zealand. 2 National Institute of Water and Atmospheric Research (NIWA), Wellington 6022, New Zealand. Calcifying corals provide important habitat complexity in the deep sea and are consistently associated with a biodiversity of fish and other invertebrates. Little is understood about how deep sea calcifying corals may respond to the future predicted environmental conditions of ocean acidification (OA), but any predicted changes will have wider impacts on the ecosystem. Due to the difficulties associated with keeping deep sea corals alive in aquaria, the literature is currently limited to short-term experiments and a poor understanding as to whether there is any capacity for acclimation. Colonies of Solenosmilia variabilis, a species of deep sea protected coral found in the waters surrounding New Zealand, were collected during a cruise in March of 2014 from the Louisville Seamount chain. Over a 12-month period, coral samples were maintained in temperature controlled (~3.5°C) continuous flow-through tanks (~130 mL per minute). A control group of coral colonies were held in seawater with pH 7.88 and the treatment group in pH 7.65. These two pH levels where designed to reflect current pH conditions and end of century scenarios, respectively. In addition to investigating changes in growth for this species, measurements of respiration and intracellular pH (pHi) were taken after a mid-term (6 months for respiration; 9 months for pHi) and long-term (12 months for both respiration and pHi) exposure period. Respiration rates and pHi were independent of pH. Respiration rates ranged from 0.065 to 1.756 µm O2 (g protein)-1 hour-1. The pH manipulations used in this experiment are ecologically relevant, reflecting end of century projections for the region. This research illustrates important first-steps of understanding the sensitivity of deep sea corals to OA and the potential for acclimation. 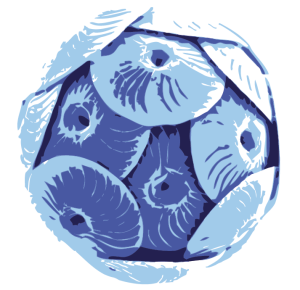 To conclude on the sensitivity of deep sea corals to OA, it is necessary that future research explores threshold responses and the role of food availability and rising temperatures.